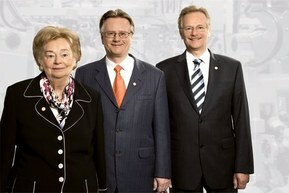 Social commitment is part of the Lapp family – and therefore also the company – tradition. All around our business locations, we support a whole host of public and social initiatives and institutions. Globalisation and community spirit go hand in hand at Lapp – since the very beginning, taking an active interest in social issues has formed part of the distinctive business culture of our family company. Now, as ever, the Lapp family company stands for reliable values and principles. Irrespective of market fluctuations, strategy changes and structural reorganisation, the Lapp company internal culture has anchored its dependable values for personnel and business partners alike firmly within its everyday business. Alongside our core business activities which are detailed here, a traditional part of Lapp is therefore also to offer unbureaucratic assistance at all our locations throughout the world, wherever it is needed. Our employees often take the initiative to make this happen. Involved in upliftment of previously disadvantaged South Africans in the black community. 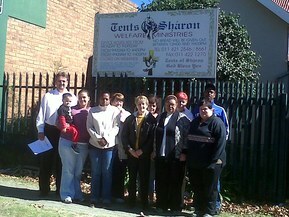 Involved in the support of children in the care of Sibonile School (visually impaired, blind and deaf children). Lapp Southern Africa also has quarterly charity run collecting clothes, food and blankets. January 2012-March 2012 Lapp collected clothes for Tents of Sharon, and on the 10th of April Errol Mann (inland sales manager) and Candice Stewart (Marketing communications co-ordinator) went through to the charity to hand over the clothes collected.